Wow, another month of 2018 passed with a blink. Does anyone else feel like life is just passing by or is that just me?! Of course, I had to end February with another favourites post! I actually got sent these Marc Jacobs Highliners a while ago courtesy of Influenster, but during February I found myself reaching for them a lot. 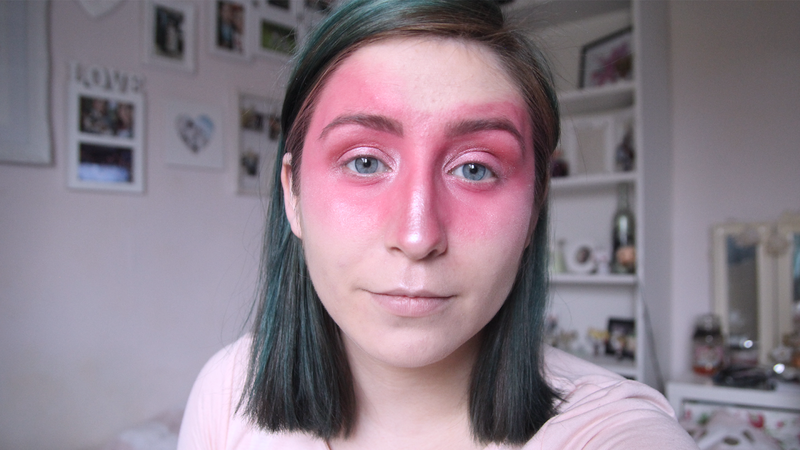 I didn't think the pink shades (Pop-ular and Pink of Me), would be my cup of tea since I tend to wear black eyeliner constantly; but I really enjoyed them. The formula is creamy and easy to apply, and my god they have some staying power! I had swatches on my hand and they didn't budge all day even after a lot of handwashing! 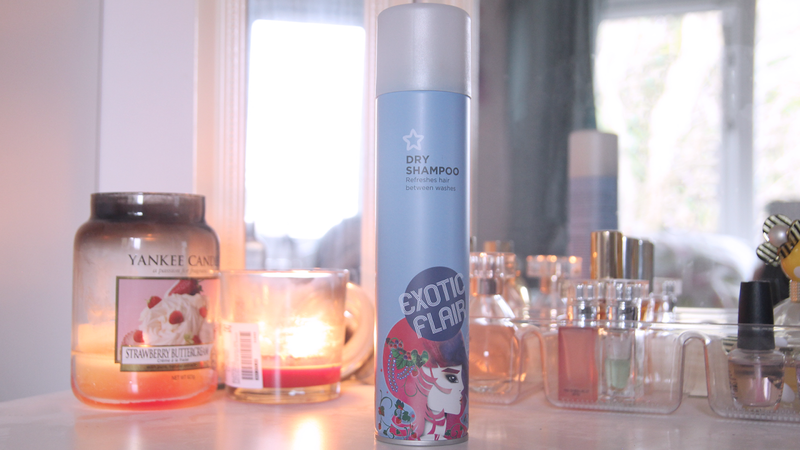 In my recent search for cruelty-free products since the new year, I started using the Superdrug Dry Shampoo and thank god I picked it up. Not only is it super affordable, but it works just as well as the Batiste Dry Shampoo's I used for a good 5 or 6 years. As I have coloured hair, I tend to only wash my hair twice a week, three times at a push if I'm doing something special - so dry shampoo is a godsend for me. During February I attended an extra-curricular Gellux Gel Nail course to become qualified in them alongside my college course (I passed, yay!). Since then I've worn gel nails, done by moi, every single day. 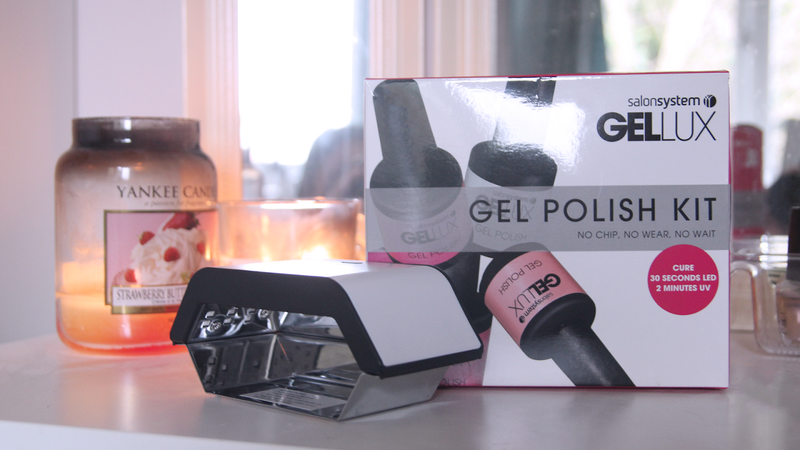 I have to be honest, before doing the course I had never had gel nails and didn't see the hype, but now I'm totally on board the gel nail train. They're stronger and last so much longer. 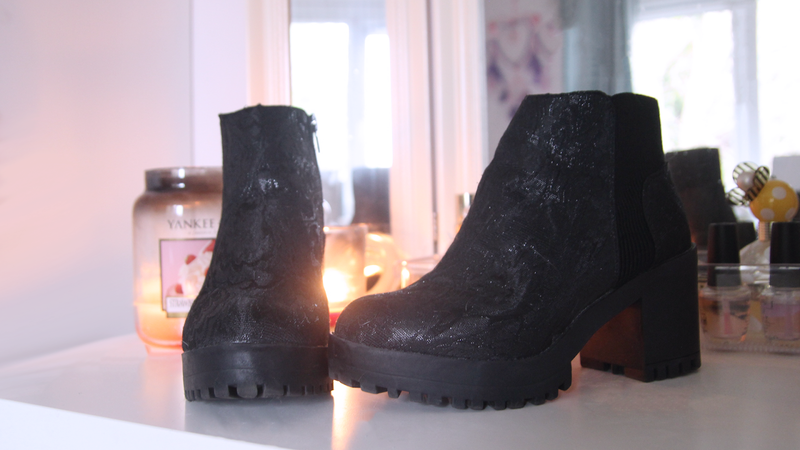 In the January sales, I picked up these gorgeous black boots for only £6 from Primark. Let's just take a moment to appreciate the detail on these and for that amazing price! During the last month, these boots have been a staple in my wardrobe. The slight platform sole and chunky heel means they're pretty comfortable for everyday use so they're perfect for me. 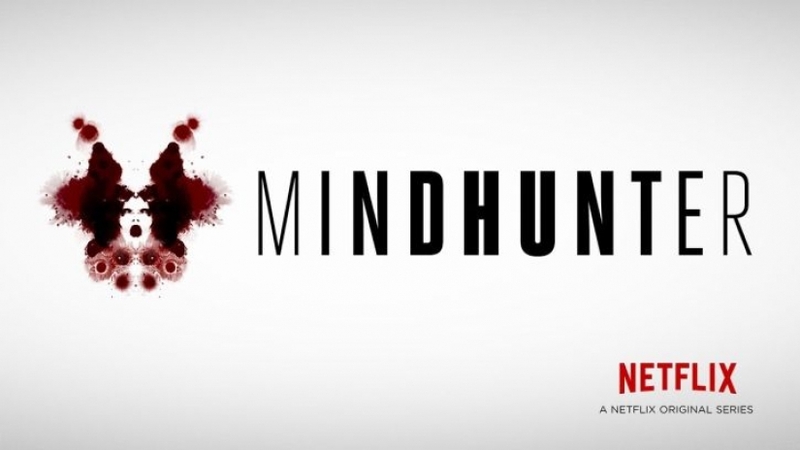 There are a few TV shows I've loved this month but new on my list is Mindhunter. It's SO interesting, and the best way I can describe it without giving away too much is that there are a couple FBI agents conducting research by interviewing serial killers to find out the psychology behind it all, and why they are the way that they are. I hope that makes enough sense to make you watch it! Of course, is it even a blog post by me if I don't mention Crazy Ex-Girlfriend in one way or another? Eric and I just finished season 3, and it got so much better towards the end. I have to admit I thought it was losing it's 'flare' for a while but it really picked back up and got funnier! Last week I was hit by a brick with flu strapped to it... at least that's how it felt. 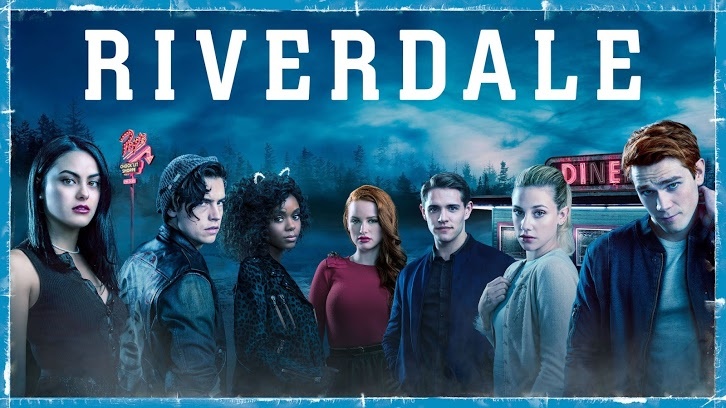 In my moment of need from my sick bed, I had no shows to watch that I wasn't already watching with Eric, so I thought I'd give Riverdale a try since so many people spoke about it on Twitter. Not going to lie, it's now my guilty pleasure. I literally binged watched the whole 2 seasons on Netflix from bed within 4 days. It's like a cute Pretty Little Liars. I had a lot of time for TV this month as you can tell! 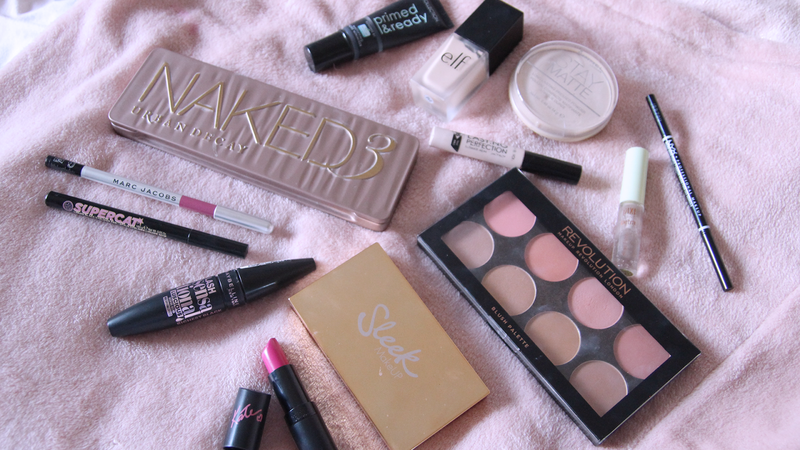 Hopefully there'll be more beauty or lifetyle related products in next months post! I hope you all had a lovely February! 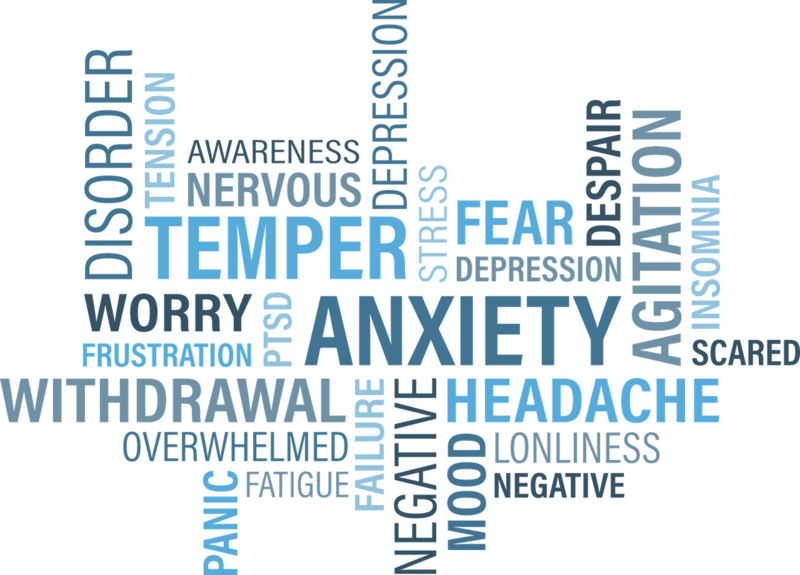 Generalised Anxiety Disorder and How Therapy Helped Me. Today’s post is a little more personal, I’m discussing my own mental health. Now when I’ve done health-related posts I tend to post more about other people’s experiences than myself. But I want to start putting my own personal experiences out there. I have Generalised Anxiety Disorder (GAD), which is where you experience anxiety about lots of different types of aspects of your life. So, for example, it differs to social anxiety which is anxiety around people and social situations. I get anxiety about pretty much everything in my life. I didn’t realise I had this disorder for several years until my GP mentioned a lot of the physical symptoms I experience COULD be anxiety, and not just related to, at that time, what they thought was IBS (which I later found out I had a more serious condition, but that’s for another post). 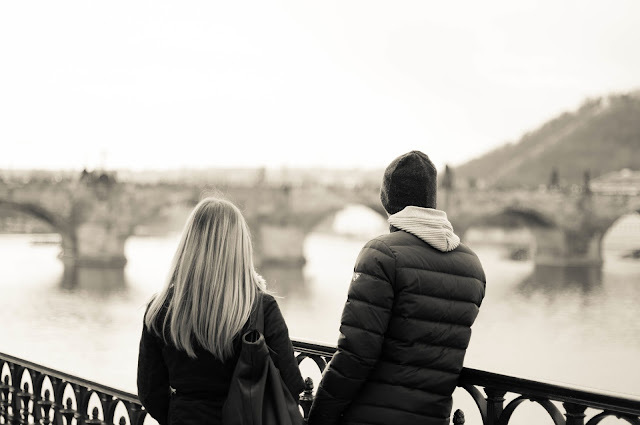 He suggested a form of talking therapy to help me because it was really affected my everyday life, and I was referred for Cognitive Behavioural Therapy (CBT). CBT is a psychotherapy, where you essentially challenge your own thoughts and negative behaviour patterns to treat some mental health disorders. When I started attending therapy, this was when I got my ‘official’ diagnosis for my mental health. It turned out my GAD was associated with worry around health, work, my own self-image, and the way other people view me. Now, I’m not awkward with social situations, I’m a very chatty, forward, comfortable person with people. However, I do worry about what people think of me, which spirals my anxiety. That’s one example anyway. Now I get very physical symptoms when my anxiety kicks in. I panic, get heart palpitations, my breathing gets deeper and harder. I also get hot or sweaty, shaky and have had several panic attacks throughout the years. I also get angry and irritable, which is probably the worst for me, I hate myself when I act out with anger because it’s not the person I want to be. My therapist taught me about the psychology around this spiral of worry, and why it affects me so much, and why I get such drastic symptoms. It turned out that the beginning of this “spiral of worry” starts with deep-rooted thoughts that you have of yourself, or other people, based on your past experiences (your childhood for example). I’ll not get into my past in this post, but essentially, these deep-rooted thoughts are extremely hard to change in people. So, the aim of the therapy was to intersect the ‘cycle’ before it became a cycle, by recognising when your thoughts are irrational. Deep rooted thought (nobody likes me) -> an action or event causes worry (someone doesn’t reply to a message) -> worry starts, symptoms start -> symptoms cause release of cortisol a hormone/ fight or flight response -> more severe symptoms and panic attacks -> more cortisol, and spirals down. The aim of my therapy was to intersect my worry cycle at the action or event, before I start to worry, by challenging my own deep-rooted thoughts with more rational ones. I was taught to question my thoughts. Why would this person not like me? Would it mean I don’t like someone if I acted that way? Things like that. Now, I do still have anxiety, I’m not cured. But this has really helped me with smaller situations that would really affect me. And I do still spiral and experience bad anxiety over some situations, but it has really improved. My therapist also suggested practising mindfulness, which I’ve found extremely helpful, and I feel like it’s really opened my eyes to the beauty of the world and made me a more empathetic person. 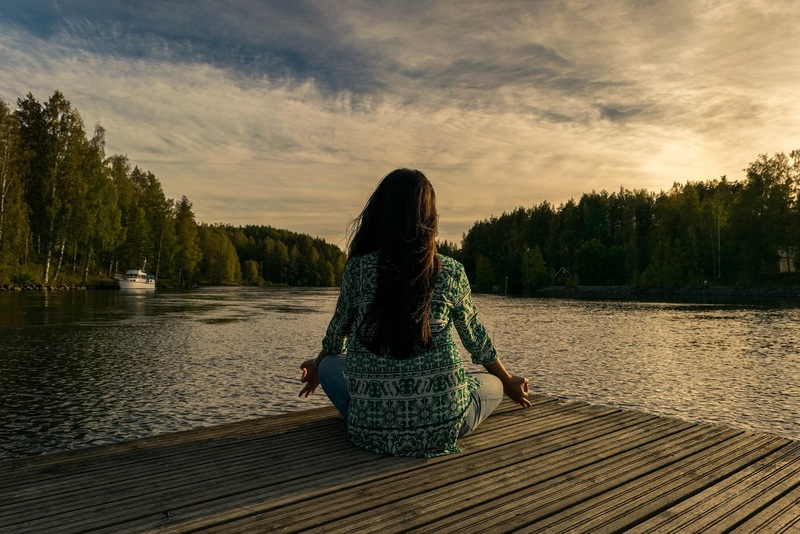 Yoga is one thing that helped me with mindfulness, as well as being aware of everything around me when dog walking... the sights, smells, sounds. So, although, I do still have GAD because it’s my brain chemistry and I’ll probably have it for life. Since therapy, I have been able to change a lot of my behaviours that made things worse for me, I have some great coping mechanisms… and I’ve been able to stop taking medication for my mental health. For me, that’s a huge plus. I know therapy doesn't work for everyone, but it's always worth a try. You can contact local talking therapies free of charge. It can also be a long process, but if you're willing to put in the work each week, and do your homework (yep, you get homework too), then you should start to notice improvements over time! If you have experiences with therapy, let me know, I love to hear about other peoples thoughts! Welcome to PART 20 of the Inflammatory Bowel Disease series, where we talk to people from all walks of life with this condition; to give everyone a platform to share their story, and help to raise awareness. 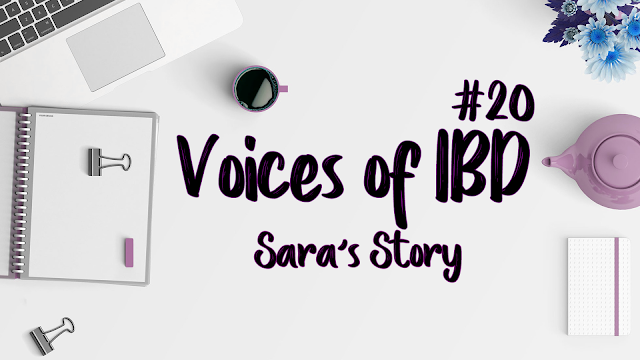 This week we talk to Sara about her battle with Crohn's Disease. I was 33 (Nov 2015), however, I had been diagnosed with IBS at age 17 and dealt with it without really getting any additional help or answers from my doctor, who really just brushed me off as a dramatic teenager. After that, I just stopped talking about it. I went to the ER thinking I had appendicitis because I was having such severe pain in my lower abdomen. The tech, who gave me an abdominal ultrasound, noticed something severely off about the loop of bowel that showed up on screen and called the doctor. Next thing I know I was being rushed in for a CT Scan. Turns out that in addition to severe inflammation & fistulas, I had an abscess in my abdominal wall and an elevated white blood cell count. They admitted me and started me on IV antibiotics. Honestly, I felt relieved that I finally had an answer and some treatment options. I would have liked to say I was shocked, dismayed, and terrified, but the truth was, it felt like something I had been expecting to hear for a very long time. My parents were with me in the hospital all day long. My husband would have been there too but in my feverish mind, I somehow thought I was doing the right thing by telling him to go to work and that I wasn’t that bad. I, to this day, have no idea why I did that when all I wanted was for him to by my side more than anything, and I know that he was extremely hurt by that. I was very sick, in terrible pain, fevered out of my mind, and really thought in the moment that I was doing the right thing. I honestly didn’t know better. Looking back on it I will never forgive myself for making that choice. My husband is a wonderful, loving and supportive man who has been there for me, and continues to be there for me, every step of the way. I will never take that for granted and will always be grateful to have such an incredible human being as my partner in this life. My husband and my parents have been a wonderful support system through all the hell, and I would not have gotten this far without them. Right now I take Pentasa, Zofran, and give myself a Humira injection every other Friday. I also take Ambien when I can't sleep; I've had insomnia since childhood and not sleeping seriously exacerbates my symptoms and leaves me barely able to function. I've been in the hospital five times in the past two and half years. Before that, I hadn’t even so much as been to the ER. The first hospital stay (in which I choose the hospital closest to my home because at the time I thought my appendix was bursting) was a nightmare. I think some of the worst experiences I had were having my vein rupture during an IV contrast injection, having a nursing student disconnect my failed IV and not report it, which led me to be feverish and without any fluids for 9 hours. My mother and best friend came in and raised hell. At which point they brought down a nurse practitioner from oncology to run my IV. She was so sweet, and a true expert. Her name was Shirley. I think if I didn’t have a viable vein she probably would have created one! The next few times were just overnight admissions and a few ER trips for pain, nausea, and one particularly harrowing gastritis flare that will haunt me for years to come. 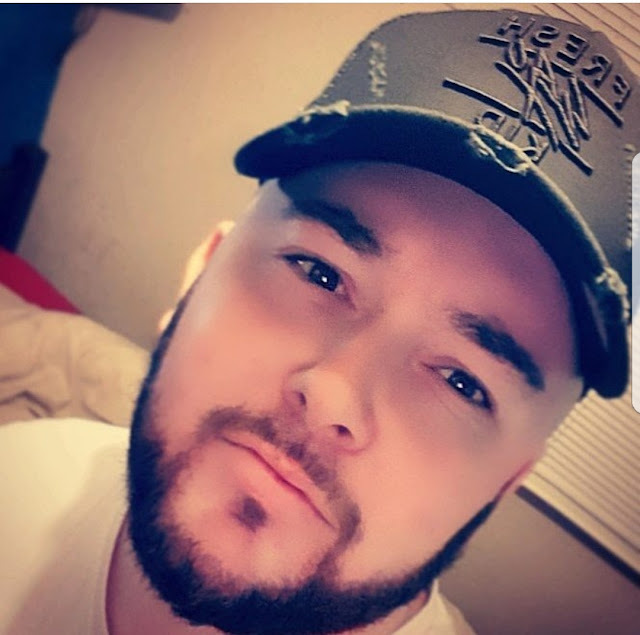 My next multi-day hospital stay came last year on February 27th, 2017, when I had my bowel resection surgery (ileocolic resection in which my terminal ileum and the right half of my colon were removed) after I developed a bowel obstruction from scar tissue. I was in the hospital for five days, and I must say it was an awesome hospital stay. It felt very strange because I had my surgery in the hospital where I work, so the surroundings and the people were all very familiar, and my co-workers came up to visit me on multiple occasions, which was very sweet. It just so happens that after my surgery I got a room in the “ultra fancy wing” by pure chance.There were no other rooms available at the time and I was told that I would have to give it up and move to a regular double room if this room was requested. Thankfully no one requested it during the duration of my stay, and I had a huge river view room in a beautiful wing all to myself. That was really nice and was definitely a much-needed experience at a time when I was truly depressed and terrified. I have a wonderful Gastroenterologist’s who I have been seeing since my first hospital admission and I would recommend him to anyone. Dr Richard Fazio In Brooklyn NY. Stress. Times of severe stress brings out the worst in my condition. That being said so does food, and I have to be very careful of raw veggies and fried food, my worst enemies. Especially asparagus! Ouch. I have struggled with severe anxiety, confidence, and self-worth issues for as long as I can remember. I was formally diagnosed with Generalized Anxiety Disorder (GAD) when I started seeing a therapist in my mid 20’s. I think it’s just part of my genetic makeup, as it runs in my family. I am sure this has contributed to my IBD, or at least exacerbated my symptoms. Honestly, not at the moment. I wish I could say yes but the truth is that as rough as things have been in my life, especially the last few months, I have not put the effort into finding a new therapist. When I seek support, yes. But truthfully I have a bad habit of trying to be superwoman and often catch myself trying to give my unconditional support to others, even at my own expense. I know at 35 I should know better and that I alone am responsible for the choices I make. That being said I have been making a very big effort to put myself first as often as possible. Meditation, and snuggling with my dogs. Rest, medication, a heating pad, snuggling with my dogs, and going on “bowel rest” (aka a liquid diet) for a few days, or sometimes a week. Not much. I'm still trying to teach myself this trick. Anxiety issues often impede my ability to relax as I'm constantly looping worst-case scenarios in my head. Meditation, mainly mindfulness practices help with this. And hot baths... if I do anything for myself to relax it’s taking a hot bath. No raw veggies (except for those safety veggies like lettuce and spinach). Lots of fruit, baby food, smoothies, soup, and eggs. If I'm in pain I'll lay on the couch and snuggle with my dogs. Don’t ignore it. See a doctor ASAP. Be patient, sometimes it takes us longer to do what takes you seconds. Be understanding, we are not ignoring you, we are sick. We are not insulting you by turning down food, we may just not be able to safely eat what you’ve offered. Don’t give up on us if the road gets too hard and don’t stop loving us if we get too sick. Don’t judge us at our worst, just know that your loving support and presence helps us to have more days when we are at our best. Know that we appreciate you. Honestly, it has been a struggle. Some days I can barely get out of bed and the only motivation I have is the need to earn a paycheck. Other days I feel like I can take on the world! “Courage is what it takes to stand up and speak. 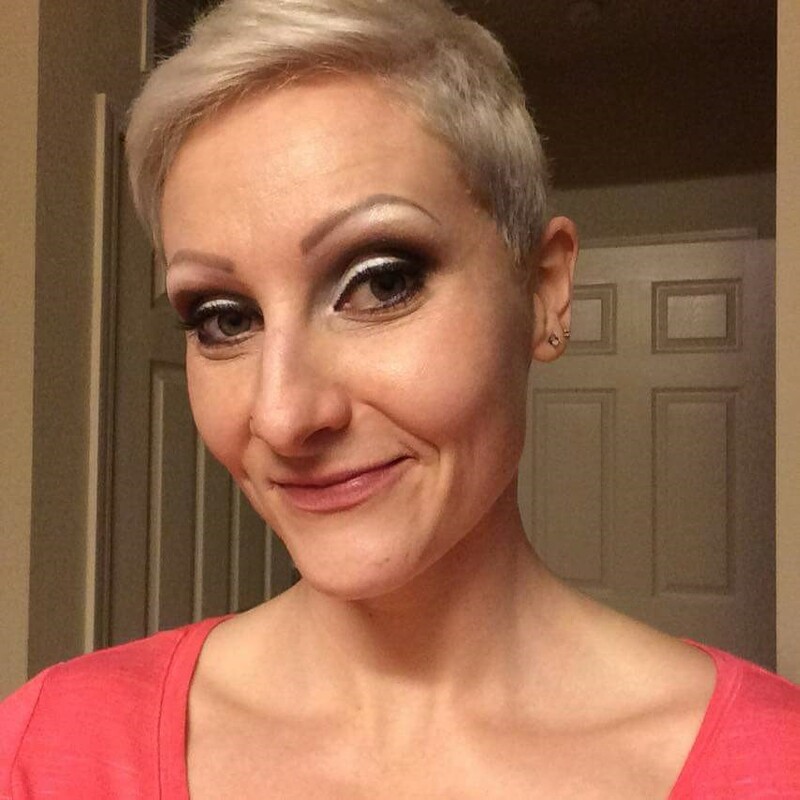 Thank you Sara for sharing your story here on BecxBlogs. If you are affected by Crohn's or Colitis; please go to the Crohn's & Colitis UK website for further support and information. I love playing with makeup, and I especially love being artistic with it. 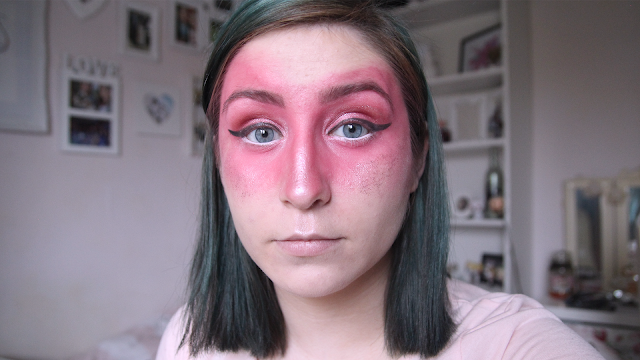 I messed around with creating this look, and it's by no means perfect or amazing - but I still wanted to take step by step photos. I'll probably look back on this in the future and be able to see how I've improved since this, and I think that's a really cool thing we can do with blogging. We can document whatever we feel like! 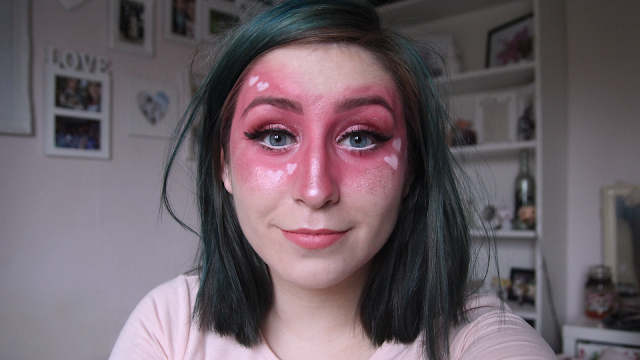 So here's a step by step photo guide on how I created this loved-up look! Please do let me know what you think. I'd also like any constructive criticism... what would you improve on, or have done differently? I've always been a sucker for Valentine's Day. I enjoy dedicating a day in our busy lives to our loved ones, whether it's your partner, best friend, or family! It's also quite nice to have an occasion to look forward to I reckon, it keeps me going when the stresses of life get me down! 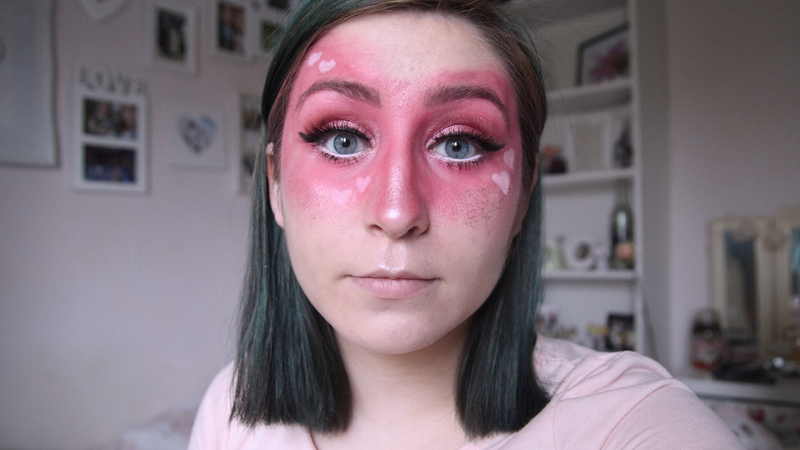 Here's the makeup look I'll be sporting this Valentine's Day with my boyfriend. I'm really enjoying the contrast of pink makeup with my new green hair and I pride myself on using affordable makeup. I've mentioned this before, but I'm in the process of moving to only cruelty-free makeup, so the majority of this (but not completely) is created with cruelty-free cosmetics. I like to show a comparison of my face without makeup because it really helps to show the power of cosmetics. 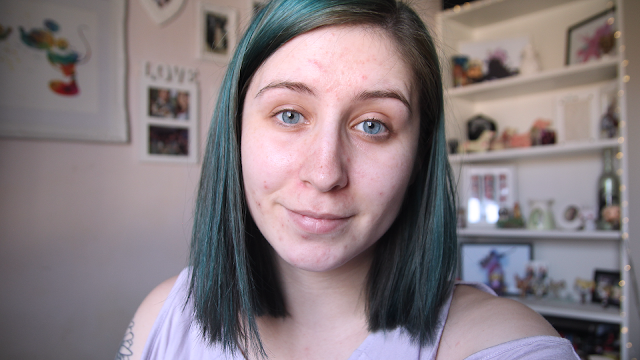 As you can see, I have oily, spot-prone and scarred skin, so it's a lot to work with! I used my Urban Decay Naked 3 palette because I haven't used it for such a long time. It used to be a firm favourite of mine, but I just reached for different products over the last year. 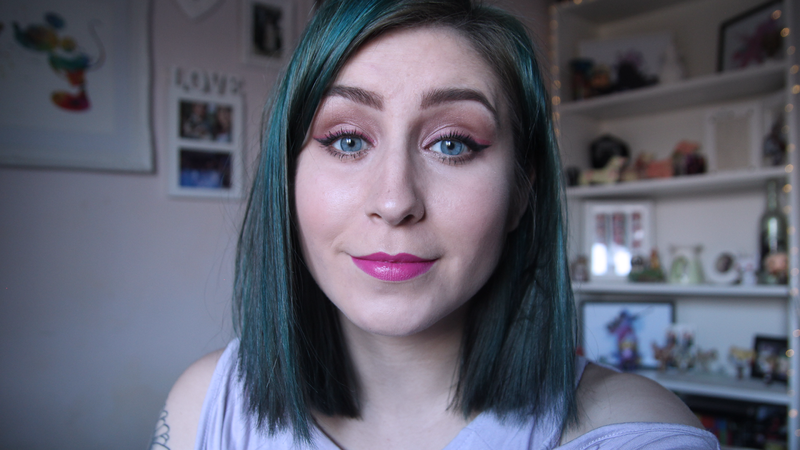 So, I dug it out and decided to create a mauve, shimmery look. 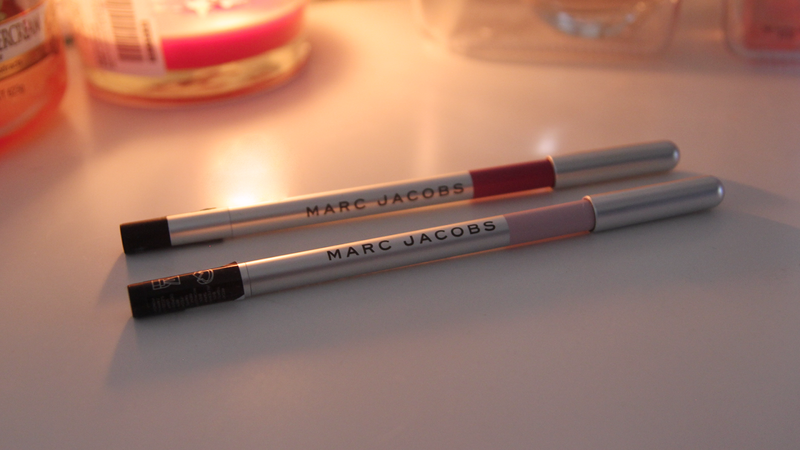 I also tried out my new Marc Jacobs Highliner which I kindly got sent, and it really helped bring the look together. That extra pop of colour made a big difference from everyday makeup to date night. My base makeup consisted of the Collection Prime and Ready Primer, Elf Flawless Finish Foundation, Collection Lasting Perfection Concealer and the Rimmel Stay Matte Powder*. 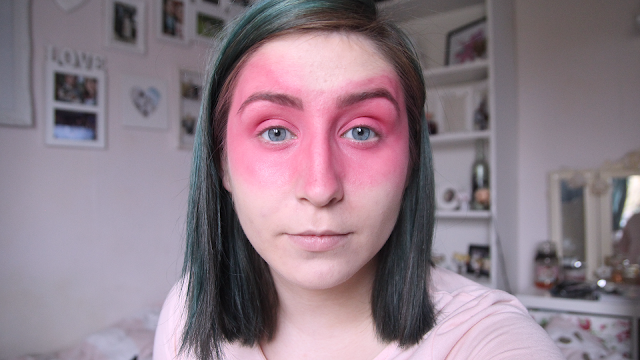 I went for a deep contour and subtle pink blush using the Makeup Revolution Blush Palette, and a lovely lilac shine using my Sleek Solstice Highlight Palette. 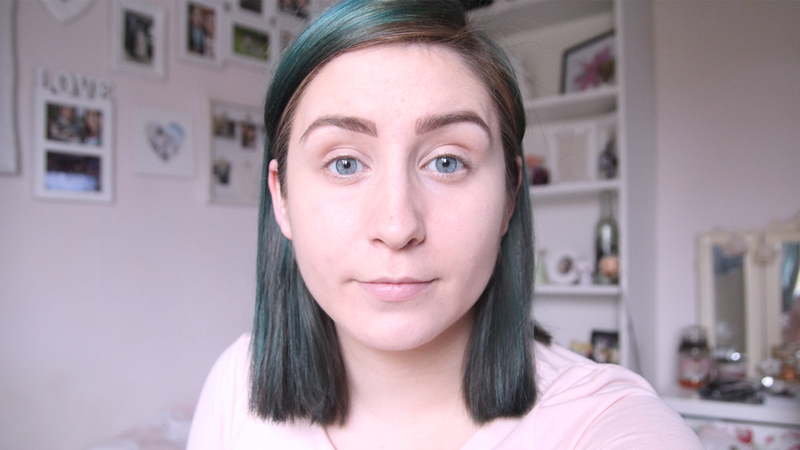 My new favourite brow duo is the Elf Microbrow Pencil and the Pixi Brow Gel. 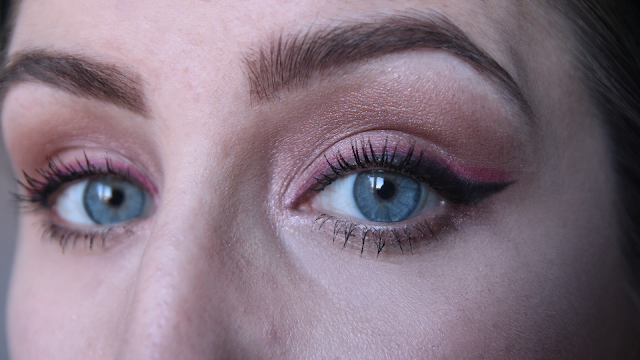 For my eyes, I created a slightly smoky, but pink-mauve shimmer eye look using the Urban Decay Naked 3 palette, and created winged eyeliner with the Soap & Glory Supercat Eyeliner and Marc Jacobs Highliner in (Pop)ular. I finished with the Maybelline Lash Sensational Mascara* and the Rimmel Kate Lipstick* in the shade 20 which is a beautiful bright pink. Overall, I'm super happy with the finished look, and I can't wait to wear it for our Valentine's Day date. We're going to Durham for the day to go sightseeing and enjoy a meal overlooking the river. Welcome to PART 18 of the Inflammatory Bowel Disease series, where we talk to people from all walks of life with this condition; to give everyone a platform to share their story, and help to raise awareness. This week we talk to Jamie about his battle with Ulcerative Colitis. Unemployed at the moment and due for surgery soon but do football studies & I started blogging. Main symptoms were bleeding from the bottom, more regular emptying from my bum & so much more tired. I was in shock when I was first told I had Ulcerative Colitis. I had no clue what UC was so looked it up & then was like wow, a big change in my life. I had a good IBD nurse who was so supportive and even after she always made sure things were ok and checked it I needed anything. I was on Pentasa tablets and then steroid tablets but not anymore. My experience with hospitals wasn't bad at the start, just with quite a few admissions in the hospital with steroid drips does affect the experience. I do have a IBD nurse who is amazing. I’ve had 6 Colonoscopies in my time with UC which at first wasn’t nice but it’s for your own safety. Stress is a massive part that affects my IBD the most and even when I have a cold or feel really low it can affect my IBD. I went through Depression which was helped with therapy and antidepressants. IBD was an influence in being depressed. The support I had did help with opening up about things. At the start when flared up it would be stress. I felt upset and so down in dumps but when in a bad flare up I ring my IBD nurse up, and she goes through the options available. Football is my break as when I play or even watch it, does take my mind off what is going on with myself. Some eating habits have changed from fizzy drinks to eating more healthy. Even exercise helps. Simple things like walking or sports. My advice would be, any time you’re worried or things are not right, go book an appointment at your local GP surgery and get checked over. Never fight it. It's a very hard battle but keep fighting. So many people have IBD, so get on social groups. I think there’s always someone worse off than me, I am strong and this will not beat me. Believe in yourself & watch you achieve things you never thought you could do. 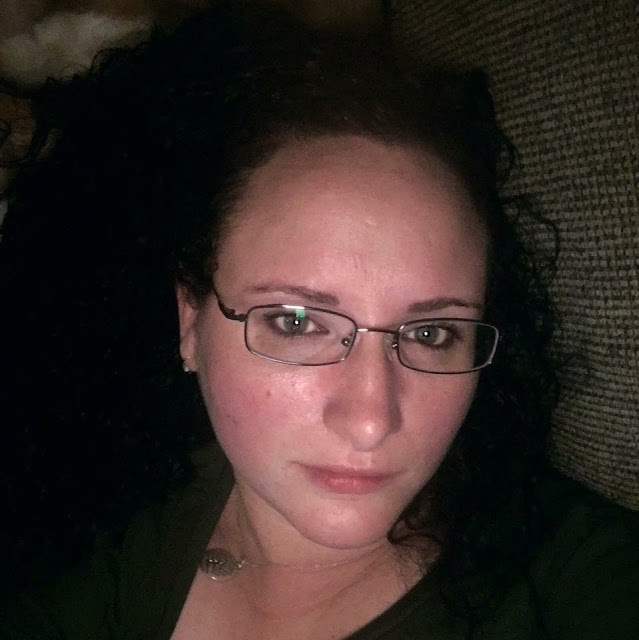 Thank you Jamie for sharing your story here on BecxBlogs. If you are affected by Crohn's or Colitis; please go to the Crohn's & Colitis UK website for further support and information.